ChessOK wrote: After being asked several times about how to use Houdini Opening Book without owning the Aquarium package, we feel the need to answer this question specifically. We have developed Aquarium Book Adapter, a software package allowing you to use Aquarium books in other interfaces. 2) Run ABAGUI.EXE to configure the Adapter. 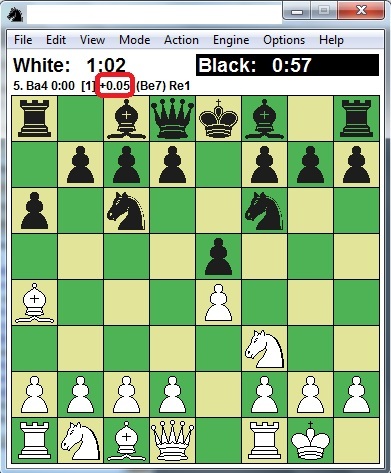 See http://www.chessok.com/books/BAdapter.html for details. 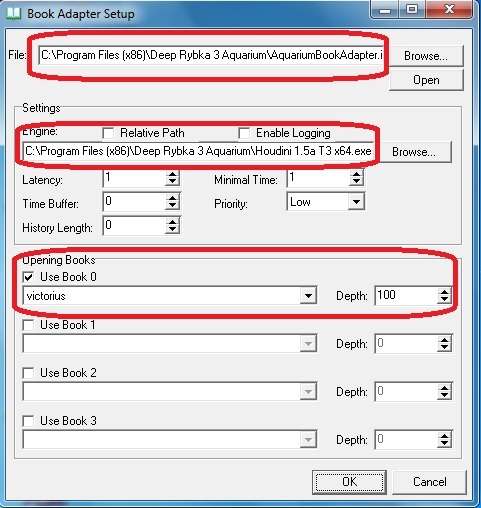 If you have Aquarium with Houdini Opening Book on your computer, you may want to install a separate copy of the opening book to run it in different interfaces simultaneously. Using one copy of the book by different programs at a time can cause unpredictable errors. Thanks, I have a doubt. what is the difference, and because the values ​​are different? and when I use the platform it uses rybka4 546.100k of memory. on the platform of the value rybka4 ta much larger than the houdiniaquarium, this means that the engine is using the best platformrybka4? and I realized also that within the platform so houdini aquarium so he is constantly analyzing the movement of the engine when it comes my turn to move him to analyze. I tested the two engines on one platform and one in the aquarium houdini rybka4 rybka4 platform and won! How do I setup for the aquarium houdini stay strong? Or do I have to take off that Houdini Aqvarium and install it in a book? And there in Fritz GUI? I'm trying everything here, and I can not convert. 1. 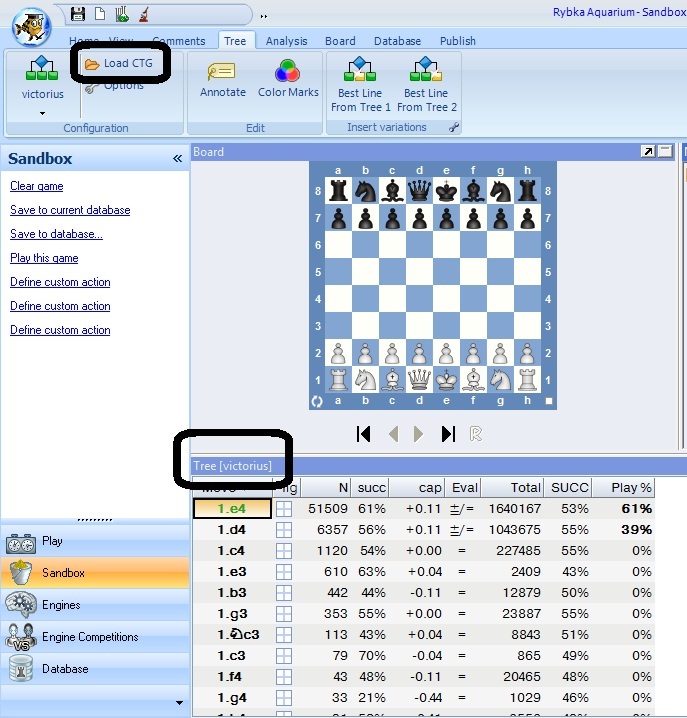 Able to use Aquarium book format in Fritz GUI. 2. Able to use ctg book in winboard without Fritz GUI. For both you need to edit a file that comes with it called: tree_configurations.xml located in (AquariumBookAdapter folder >>> Data folder). I have edited mine and as you can see I set ABA to use victorius.ctg book. PS Load AquariumBookAdapter.exe in Fritz or Winboard as an engine. oh, get set up! and using the engine with the Houdini book houdini2lite within the platform houdini pro 2, the engine plays 100% stronger! No german language fionbo in the forum! Your question 3 - Houdini opening book no good at all, better use those great public books that win Testo tourneys. Do I need to be copied and pasted the engine Houdini 2.0b Aqvarium file adapter? So that after instalira.Ja somehow got installed Hoduini2.0bABA engine. 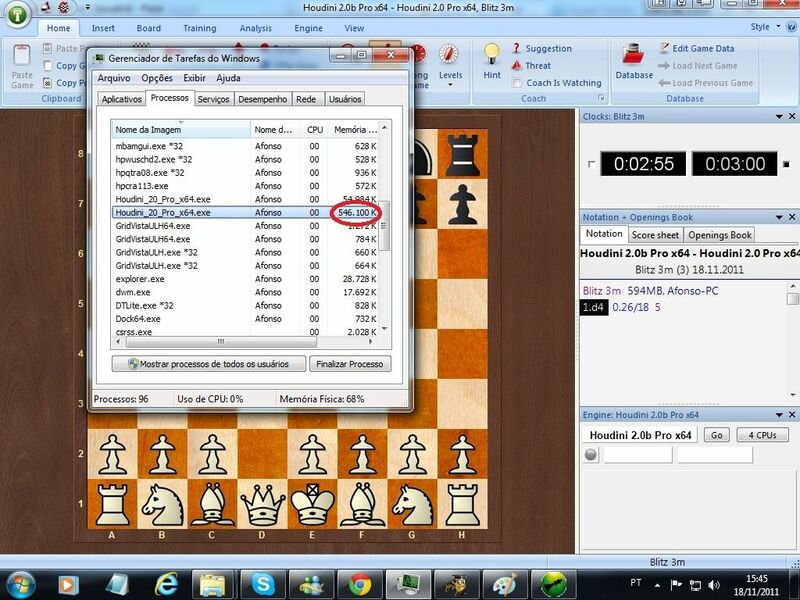 I put it to test pm blitz game .... 1 min to play with the engine without the book and the result is personal, 50-50%. How do I know that the book was included? Does not say Houdini book! The engine is running slower than aquarium adapter. Is this normal or am I installed something wrong? 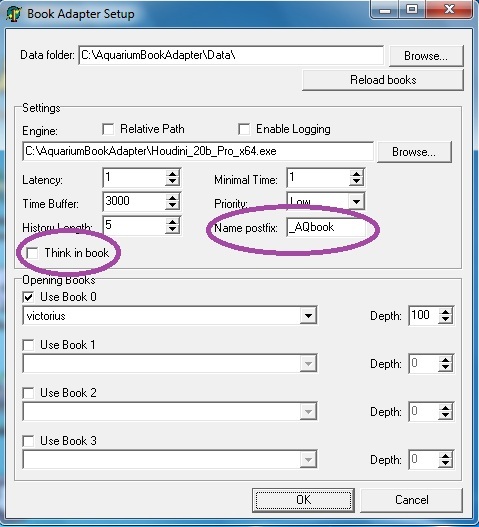 The best way to be sure you are using the book you want is you have in your computer Aquarium GUI program and load the book in this GUI. 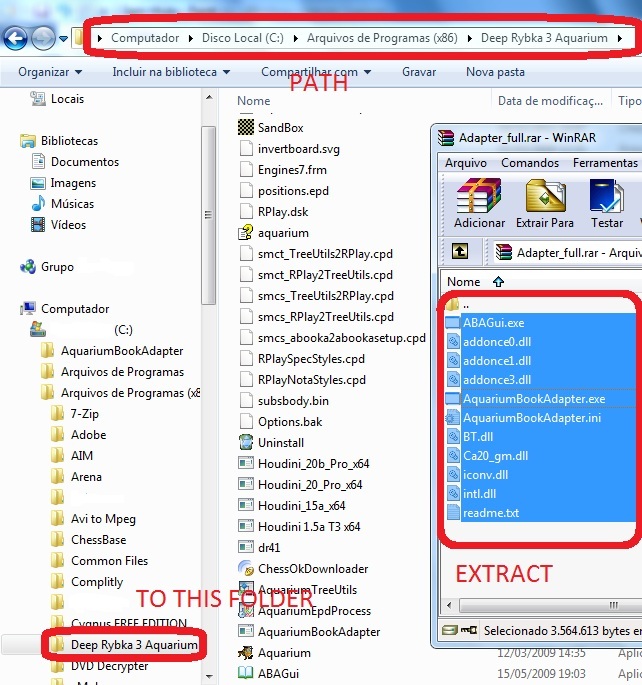 Then extract tree_configurations.xml file in this Aquarium GUI to Adapter folder. 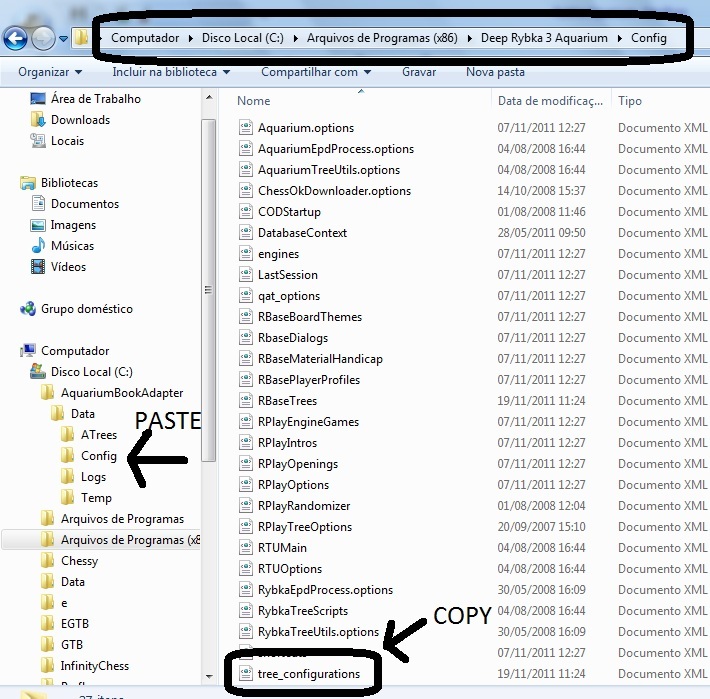 And right click in the file tree_configurations.xml and choose "copy"
Then click "Yes" to exchange files. I do not know whether it makes sense ... This book will be out for a week ... Maybe it already is now. if I install. Viktorius it wins! It would be good to make a test without a book Houdini Houdini otaranja-opening book with the adapter! Or something I did not install properly or adapter engine slows down a lot in the tournament. This book will be past soon, maybe it is already! 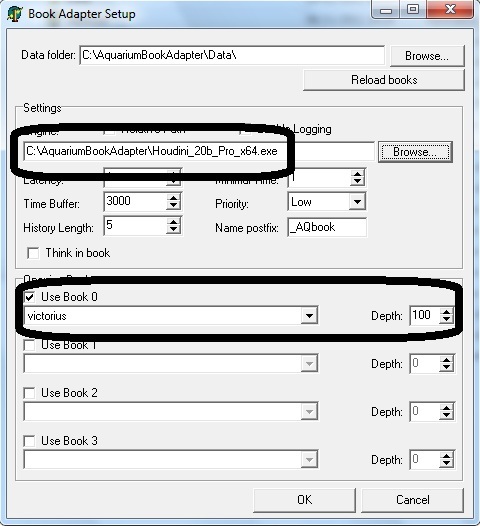 PS A way to make the adapter installation with engine + ctg book or Houdini book easier is to have already in your computer Deep Rybka 3 Aquarium GUI. You can use any Houdini version or Rybka. And for tournament you cant optimize book if you use Adapter, only thing you can do something is that Depth 100. 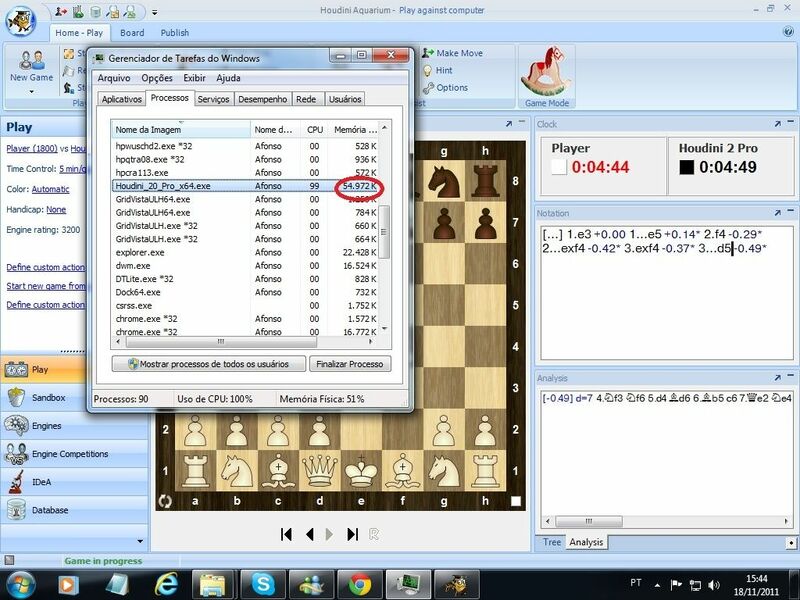 STEP 4: Finally load AquariumBookAdapter.exe in Fritz GUI or InfinityChess GUI or Winboard GUI as it was an engine. Hey! I have to say sorry, the newest version is working perfectly, posted on Fri Nov 18, 2011 4:13 pm by Steve.R, so go with it, it is great! AquariumBookAdapter (latest version) doesn't work for me, does anyone have the same problem? Great! finally it works! thanks to Richard_1977.